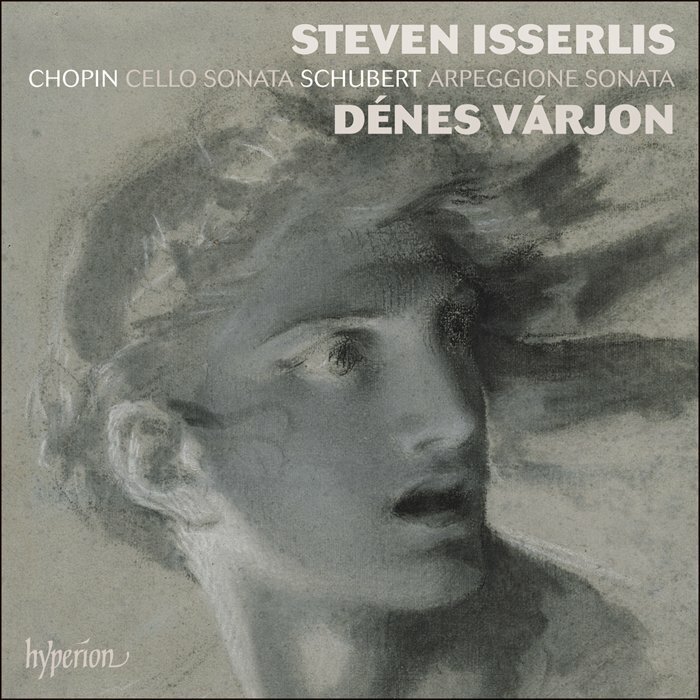 Hyperion Records has announced the release of British cellist Steven Isserlis‘ new album: ‘Chopin & Schubert’. Recorded with Hungarian-born pianist Dénes Várjon, the the disc features Chopin’s Cello Sonata in G minor, Introduction and Polonaise Brillante and Nie ma czego trzeba – coupled with Schubert’s A Minor Arpeggione Sonata and Nacht und Träume. “Love of Chopin is somehow in my genes … my grandfather, as a 13-year-old boy, used to sleep with the music of Chopin under his pillow …” Steven has told The Violin Channel. “And, I have always been fascinated by Chopin’s Cello Sonata, one of his most complex late works … it took me many years to feel fully inside the music, but now I really consider it to be a tragic masterpiece – a truly important work …” he has said.